It was a dark cloudy night and the moon was glowing way above me, strangely it was shining a lot more than usual. The cold air was whipping against me my mother seemed worried, she paced anxiously beside me. I wondered what was going on; it was just a normal night. Wasn’t it? Minutes passed and my mother was still staring nervously at the moon I asked her. She did not reply she just kept looking at the moon, I figured that I would know in time and did not bother to ask again. I was soon bored of waiting for my mother so I went and galloped around a little. I wondered why we weren’t with our herd, well they weren’t nice to me anyway they always were scared of me, mom said it was because I'm special but the foals in my herd always made me feel different and horrible! Just then a strange light exploded from the hovering moon! A huge herd of horses came FLYING! Down to me and my mom. “Mom what’s happening? !” I exclaimed nervously. 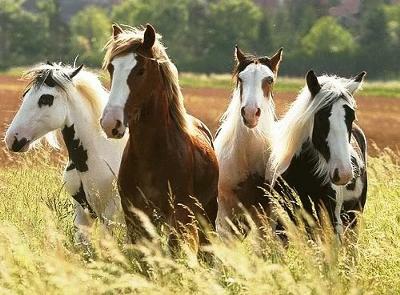 The herd of mystic horses flew ever closer and soon there was no time for chatter. 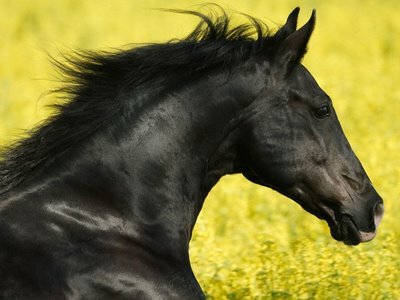 A majestic black stallion appeared before us, I was amazed! The black stallion spoke softly to my mother and she nodded her head. I was so confused! Then the black stallion turned to me he said, “I am New Moon, leader of the moonlight herd, do you know who I am?” The stallion seemed familiar but I was so shocked that I couldn’t remember, then I realised New Moon was my sire! Memories came flooding back to me, I remembered all of the fun times I had with my herd, was I even ready to leave? I just couldn’t choose, my mother looked encouragingly at me I wondered what would happen at Moonlight Academy, after all it was a once in a life time opportunity! Eventually I made my decision. I said goodbye to my mother and followed the moon herd up into the night’s sky, I couldn’t fly yet so one of the Moonlight mares made a glimmering carriage appear out of nowhere and the mare lifted me into the sky! All the while she spoke to me she told me about how beautiful the moon realm was and that one day I would be part of the Moon herd and I would be a Moonlight Mare! thanks unicorn. i will put part 2 up soon! i absolutely adored that story Grocie. i think you could be a really good author one day. This story is built on a great idea - I can't wait to see what the little moon foal learns at the academy. The beginning is interesting with the bright moon and the wind and the pacing mare. One suggestion: look out for overusing the exclamation marks - they're unprofessional and detract from the narrative; some more detailed description would work better in their place. All in all, a great story. Please keep writing, and thanks for sharing. Finally the herd arrived at the moon realm, the mare was right it really was beautiful. Everywhere there were vibrant flowers and tall trees then I saw a tall stone castle, I asked the mare “What’s that stone building?” She replied “That is moonlight academy secret were going to bring you there now.” I stared at the old stone tower it was really high. The mare saw me looking and said “That is where all the stables are, you will be sleeping up there!” Since I had lived in the wild I had no idea what a stable was so I was pretty confused. As we approached the high school gates I trembled I was so excited, but nervous to what if the fillies and colts at Moonlight Academy didn’t like me just like my herd. I walked slowly into the yard there were loads of foals everywhere! Yearlings were busy practicing there magic skills as they had already gone to Moonlight last year. I was amazed at the yearlings power and even one yearling called Apollo taught me how to do a really easy spell, having magic powers are really fun you know. Older colts and fillies were doing way more advanced magic than the yearlings but whenever I went near them they told me to bog off! I mean how rude is that! Just then a bell went off and all the horses stopped to look at an old stallion with a long silver cloak. “I am Merlin, Headmaster of Moonlight Academy.” He announced proudly “Now will the students who have already been to Moonlight please follow Starlight into the hall.” All the yearlings and older horses scurried into the gigantic hall while all the new colts and fillies listened inquisitively out in the yard. I was surprised at how many people were new, I was afraid I would be the only one! “Now young foals as you know you are all very special,” Merlin said “ You each have amazing talents and one day will join the moonlight herd, but before that you have to learn magic, now all of you will be in stables in the tall tower and in a moment I will tell you who with!” He muttered other boring stuff but I didn’t really care I just wanted to find out who im sharing a stable with. After ages of boredom listening to my new headmaster speak about totally pointless stuff he finally announced who we were sharing with. “ Now I will read out who you will share with. In the Ruby Stables Twilight, Moonstone, Comet and Solar you are all in the Ruby Stables now please follow Miss. Luna.” He said. I met Glimmering Dusk and Comet when I got to the stables. Glimmering Dusk was a shy sweet palomino filly and Comet was a smart bay colt. Rocket was racing around the stables, they were surprisingly roomy! To be honest I was a bit jealous of Glimmers beautiful palomino coat. I hated my coat color, I was jet black. For most of the morning we just hung around the stables but then it was time to begin. do you like it? please comment! The four of us galloped happily down the hallway Rocket obviously leading as he was the fastest. Suddenly Rocket stopped and the rest of us went crashing right into him, he was looking up at a strong bay stallion. The stallion glared and then yelled angrily “Don’t you know not to gallop in the hallway? WALKING only!” The stallion walked off. “Rocket you just crashed us all into a prefect now were all in trouble, ALREADY!” Comet exclaimed “Sorry guys we better get going now, and this time at walk!” Rocket said shamefully. We were directed to the flying arena by a kind filly called Maple. We walk outside into the large arena where already two small yearlings were demonstrating, we cantered to the middle of the ring and Comet went to apologize for being late. The two colts who were demonstrating were amazing they could go so high when I grow up I want to be just like them I thought. She trotted into the middle of the field and flew into the air she looked so amazing. Glimmers beautiful golden palomino coat shone in the warm sunshine and her magnificent cream colored mane blew in the wind she was really good at flying! She danced in the air before landing gracefully on the ground. Glimmer looked at me and asked “Did you enjoy flying, its so fun right?” I smiled and replied “Yeah it makes you feel so free.” Glimmer was so kind and caring that I wasn’t jealous of her anymore. Dinner had finished and we were allowed to stay up until 10 o’clock and then the yearlings and foals all had to go back to their stables. Today we all got given schedules tomorrow the first lesson is spells it’s going to be SO cool. RING the loud school bell went off meaning all foals and yearlings had to go to their stalls. I, Glimmer, Comet and Rocket started to head to the Quartz stables. I had noticed that most of the yearlings got to fly up the stairs and we could only walk. You are an awesome writer please keep writing!